Aviation Training Management Software MOMook continuously develops its software for better user experience. And today we give you two new updates. Our first update is Multiple Clients Feature. The feature will not only help approve instructors to airline Type Rating training and dry/wet sessions, but it will also allow multiple client choice. What does this mean? Well, mainly it means that human error will be reduced and quite a bit of Training Managers’ time will be saved. 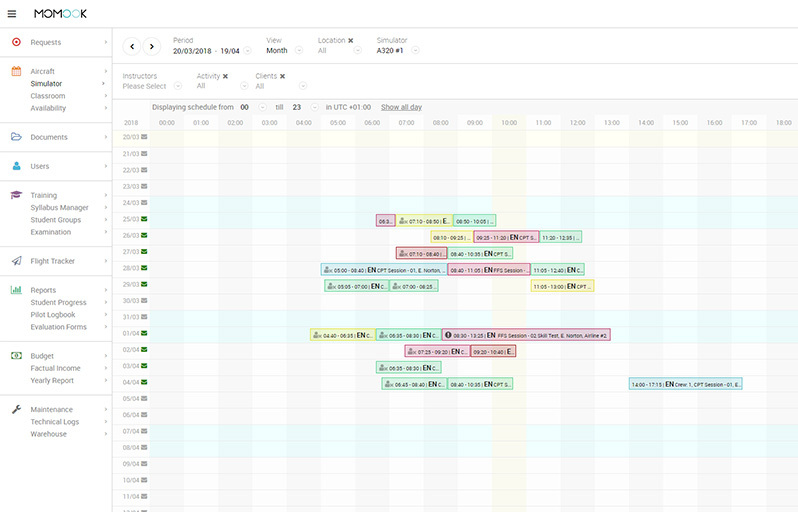 Scheduling will become easier than ever to create. 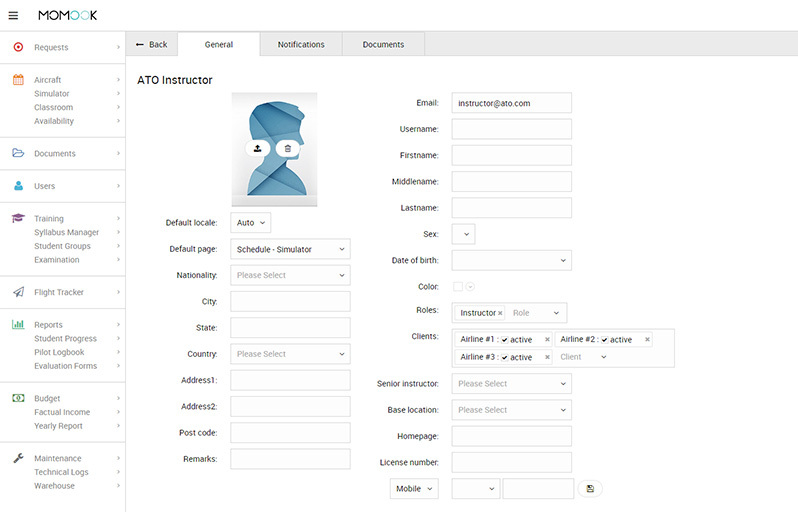 The feature works like this – whilst assigning instructors for airline Type Rating training and dry/wet sessions, our solution will automatically section out providing a list of instructors that can work with either one particular client or clients, if the group is mixed. The second update is Live Time Change. It is a neat little feature as the time details from beginning to end will be shown in the session box, as well as it will change to the exact time when the box is moved. Just as the previous update, it will consume less of your time and will be a much more convenient way to create sessions. You can choose to see time in either a 24-hour format or AM/PM and the format can be changed at any time by accessing and amending user’s Locale settings. Also, whenever you need to re-schedule a time session – time will accordingly change on-the-spot when altering the session or moving the bar around the platform and trying to find the best option available.